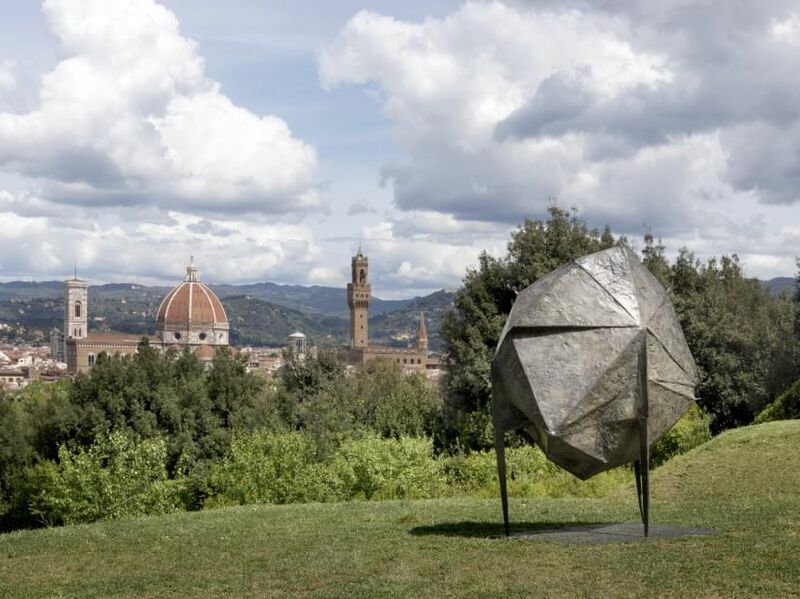 On at the Boboli Gardens and at the Giardino Bardini in Florence a retrospective of English sculptor and artist Lynn Russell Chadwick. 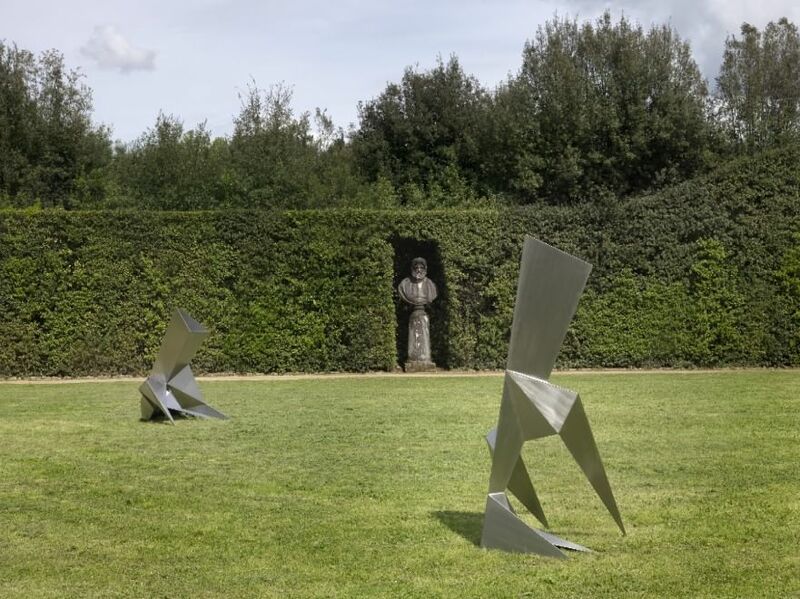 Best known for his semi-abstract bronze and steel sculptures, Chadwick was one of the most important masters of British sculpture of the last century. 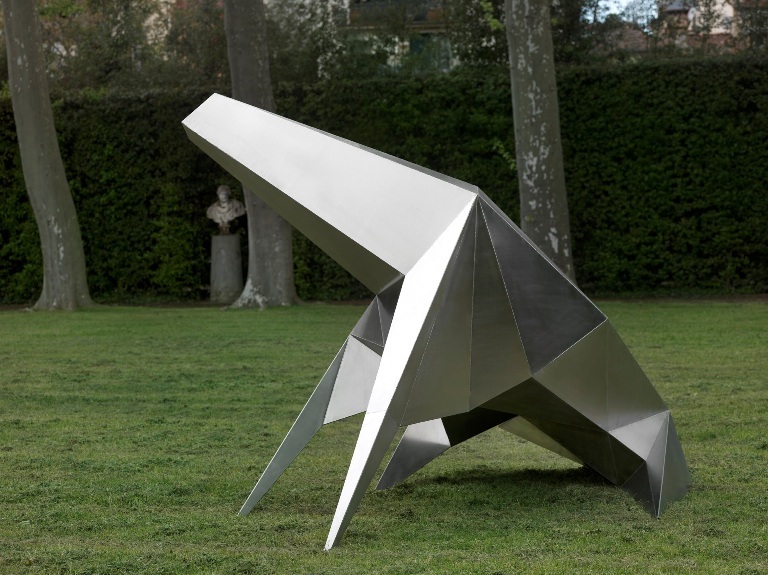 Born in Barnes, London in 1914, he received the first acknowledgements in 1952 when he participated in the new generation of British sculptors group exhibition at the Venice Biennale, where two years later he was awarded the International Sculpture Prize. From that moment he became the protagonist of other international scenes such as the São Paulo Art Biennial, with exhibitions in the most important institutions in New York, London, Paris and Brussels which today preserve his collections. 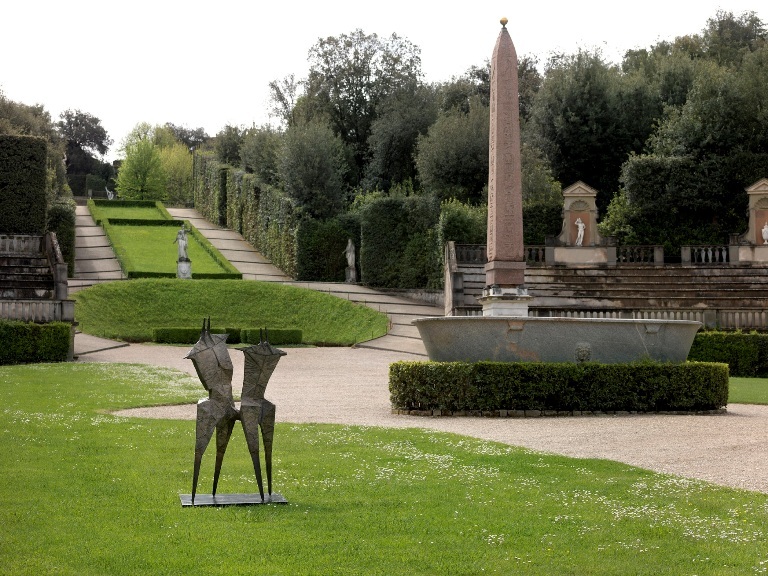 The exhibition designed for the Boboli Gardens and Giardino Bardini sees 23 sculptures on show with the aim to invite visitors to discover the topographic characteristics of the two parks, as well as the monumental and scenic ones. 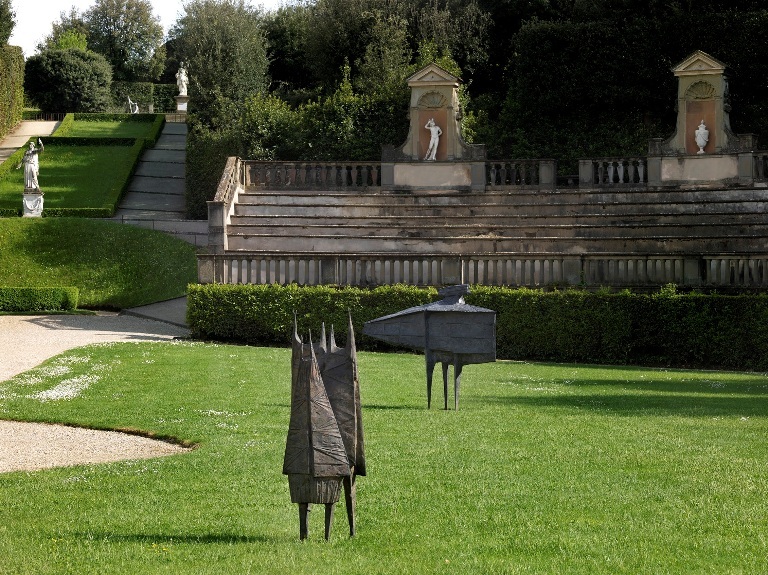 Almost all the works selected for the Florentine project are usually housed on the grounds of Lypiatt Park, Gloucestershire, where Chadwick died in 2003. Chadwick’s work associates a strong, architectural design element to the recognition of the artist’s manual work, which is especially evident in his older works, characterized by a particularly wrought and engraved bronze surface. Over the years he achieves mainly geometrical representations both in the definition of animal and human anatomy, as in the realization of conflicting structures that refer to the order / disorder of the man-machine-nature relationship. On until August 30th, the exhibition is curated by Alberto Salvadori. Open in May from 8.15 am to 6.30 pm, in June, July and August from 8.15 am to 7.30 pm. Closed on the first and last Monday of the month. 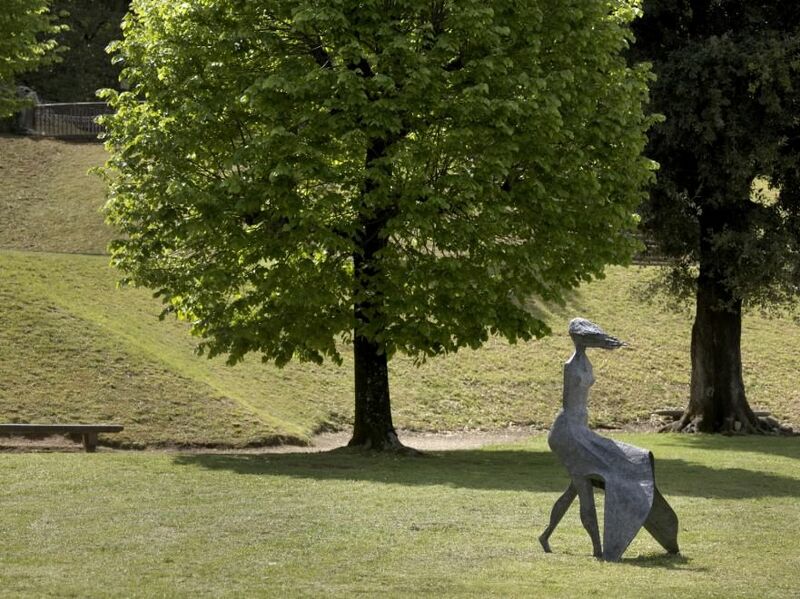 Questa voce è stata pubblicata in Art in Florence, Art in Tuscany, Events in Florence, Events in Tuscany, Exhibitions in Florence, Florence, Tuscan gardens and parks e contrassegnata con art, Boboli Gardens, Events, exhibitions, Florence, Giardino Bardini, Lynn Chadwick, retrospective, sculpture. Contrassegna il permalink.